Ventura passed the very first SOAR initiative in Ventura County in 1995. 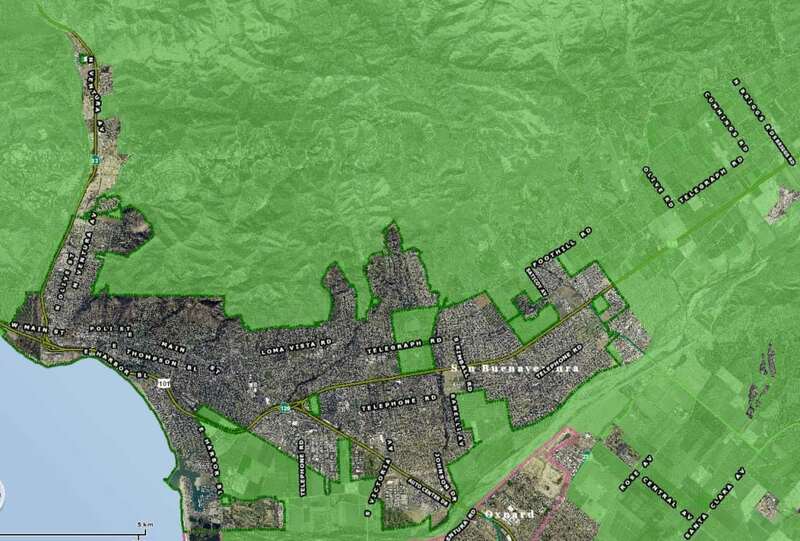 Unlike subsequent city SOAR initiatives which established City Urban Restriction Boundaries (CURB lines), the Ventura SOAR initiative protected land within the city that was zoned for agriculture. In 2002 Ventura voters overwhelmingly rejected a proposal to open the Ventura Hillsides to development, and in 2016 citizens renewed both the city SOAR initiative and the Hillsides Protection Area to 2050 with 72% of the vote. View the City of Ventura SOAR initiative (Measure P) passed in November 2016.